Bhagwan Balani has been appointed as the new general manager for Hilton Mumbai International Airport, the intimate, stylish hotel conveniently located near the international airport of Mumbai. Bhagwan took charge on 27 March, 2017 and is responsible for overseeing hotel operations for the 171 room hotel along with its F&B program. His last assignment was at Hilton Shillim Retreat & Spa in the role of general manager. Bhagwan brings with him a wealth of experience having 22 years in the hotel industry including four years as a general manager. Well-known to the hotel business, Bhagwan’s career has included being in various positons in food and beverage and sales and marketing. His previous roles have been with Hyatt Amritsar, Park Hyatt Goa Resort and Spa and Leela Hotels & Palaces, Mumbai. With an impressive academic background, a graduate and double diploma holder in hotel management and marketing management, his inclination towards the hospitality industry was inevitable. He began his career in the food and beverage department of the Leela Kempinski Mumbai in 1995 and meticulously worked in this department until 1999, during which he received several acknowledgements and credits. In July 1999, he joined the sales and marketing team of the Leela Kempinski as sales executive and later got promoted to assistant manager of sales. 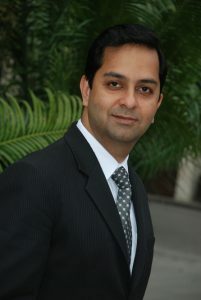 In December 2002, he joined Park Hyatt Goa Resort and Spa as sales manager and later got promoted to associate director of sales then director of sales and eventually led as director of sales and marketing before he moved in 2013 to Hyatt Amritsar as general manager. Towards the end of 2014, he moved to join Hilton Shillim Estate Retreat & Spa as the general manager. A true ‘Mumbaikar’ at heart, Bhagwan was born and raised in the Mumbai. He is passionate about sports and fitness. In his leisure time Bhagwan prefers to relax in the ambiance of a spa or spend quality time with his family.